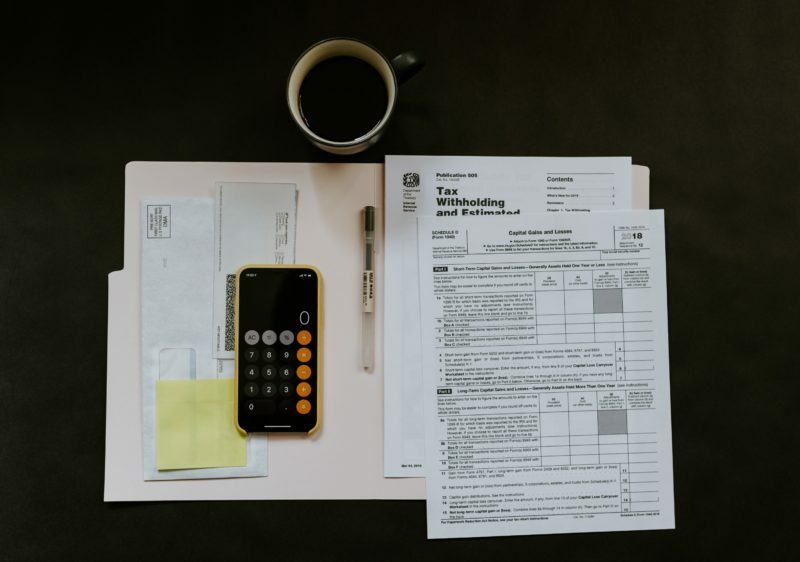 As we navigate through another busy tax season, we’ve spoken to many of our clients who have had questions about the vast tax law that passed in December 2017. Jennifer Guglielmo, a CPA based in Novato at Ghirardo, CPA, has graciously offered her insight into what people can expect this year and beyond from these changes. Bill: What recent changes in Federal tax laws do you feel will impact the most people this tax season? Jennifer: In general, the Tax Cuts and Jobs Act has resulted in lower tax rates for everyone. The top marginal income tax rate used to be 39.6% and now it’s 37%, hitting those with taxable income of $500K and higher for singles and $600K and higher for married couples filing jointly. Another big change is that the 2018 standard deduction has roughly doubled – it’s now $12,000 if you are single or use married filing separate status (up from $6,350 for 2017) and $24,000 for married couples filing a joint return (up from $12,700 in 2017). As far as itemized deductions, there has been a lot of publicity around the mortgage interest deduction, which is now limited to up to $750,000 of debt from a home purchase. You used to be able to deduct interest on up to $1.0 Million of mortgage debt plus up to $100,000 of debt from a home equity loan. The deduction for home equity loans interest has been discontinued. Those who had mortgages with balances between $750,000 and $1.0 Million are grandfathered in and will not be subject to this new limitation. Many miscellaneous itemized deductions have been eliminated, including deductions for unreimbursed employee expenses, casualty and theft losses, tax preparation fees and investment management fees to name a few. On the positive side, in the past, taxpayers with higher incomes used to see a 3% haircut applied to all itemized deductions beyond a certain threshold. That is no longer applicable. Bill: Many of our clients are California residents. Are there any additional considerations they should be aware of? Jennifer: Yes. Under the new tax law, there is a $10,000 state and local tax deduction cap. That number doesn’t go very far, and in the past California filers used to be able to itemize deductions on property taxes and the income taxes paid to the state. Now that the combined deduction has been capped, it has the potential to hit certain taxpayers pretty hard. However, many California taxpayers had been subject to the Alternative Minimum Tax (AMT), under which their deductions for state and local income taxes as well as miscellaneous itemized deductions have been disallowed. This means the loss of those deductions under the new tax law should not cause an increase in their 2018 federal income taxes due to the fact that those deductions were not providing any tax benefit due to the AMT rules. It’s also important to note that with minor exceptions, California does not conform to the new tax laws. So while there are big changes to taxpayers’ 2018 federal tax returns, their California returns will generally be filed under the same state tax laws as in prior years. Bill: What are some things that people can focus on to optimize their tax strategy? RMD Contributions to Charities. Taxpayers over 70.5 who have IRAs are required to take distributions annually, called Required Minimum Distribution (RMD). Those with RMD’s to satisfy could consider giving directly from their IRA to charities. You don’t pay tax on those amounts given directly to charity, but they are considered as part of your annual RMD. Doing so means you effectively get the deduction for the charitable contributions in the form of reducing your IRA taxable income. Many taxpayers who previously itemized deductions will now find it advantageous to take the standard deduction instead. These taxpayers will no longer deduct their charitable contributions, but via a qualified charitable distribution from their IRA, some of them can still make those contributions with pretax dollars, resulting in significant tax savings. Although this strategy is not new, it’s certainly a planning point that’s more prevalent now due to the new limits on certain itemized deductions coupled with the new much higher standard deduction for taxpayers. “Bunching” of deductions. Because the standard deduction is so high, it’s hard to surpass limits. So it may be wise to “bunch” deductions – for instance, save large charitable contributions for every other year. Or push discretionary expenses such as medical expenses to every other year to maximize the tax benefits. The Opportunity Zone Program. The Opportunity Zone (“OZ”) program is a new community development program established in the TCJA to incentivize investments into low-income communities nationwide. There are roughly 8,700 new Opportunity Zones throughout the US providing investors the opportunity to defer and reduce already-incurred capital gains tax, and to eliminate tax altogether on future gains made in these investments. Unlike a tax-deferred 1031 exchange that only applies to capital gains from the sale of real estate, the OZ program can be used to defer capital gains from any source. Bill: Many of our clients and partners are business owners. How are they impacted by these tax changes? Jennifer: Business owners have the opportunity to come out ahead for a few reasons. First being the liberalization of depreciation rules. A big change to depreciation is that the new law allows for full write-off of certain fixed assets in the year placed in service, otherwise known as 100% bonus depreciation. There is also the new Qualified Income Business Deduction; essentially (subject to limitations and the type of business), taxpayers can take a 20% deduction on qualified business income. Certain strategic moves can make the difference between not being able to utilize this at all and using it in full. This is a great time to contact your CPA to best position yourself to take advantage of this deduction. Bill: How can people feel educated about taxes and stay informed on the latest information? Jennifer: I certainly welcome anyone to contact our firm directly or visit our website. Forbes is also a great resource for easy readability on complicated topics, especially the tax articles written by Tony Nitti. Please Note: The views and opinions expressed in this article are those of the authors and do not necessarily reflect the official policy or position of Private Ocean Wealth Management. Private Ocean does not make any representations or warranties as to the accuracy, timeliness, suitability, completeness, or relevance of any information prepared by any unaffiliated third party, whether linked to Private Ocean’s web site or blog or incorporated herein, and takes no responsibility for any such content. All such information is provided solely for convenience purposes only and all users thereof should be guided accordingly.